A VA hospital in Los Angeles has had to cancel or postpone over 80 surgeries due to an insect infestation. Los Angeles' local CBS affiliate CBS2 conducted an investigation of the hospital, VA West Los Angeles Medical Center, that included the use of hidden cameras. In the collected video, green lights emerging from walls are actually flytraps known as flylights. The flytraps are found all over the hospital, including in operating rooms. The chief of staff for quality assurance at the hospital, Dr. Christian Head, said "I don't believe there's any hospital in this country that would find it acceptable to have flies on a routine basis." Head said he and others reported the fly problem but faced retaliation, with one facing suspension. Emails and memos show the infestation goes as far back as November 2016, including one memo titled "Phorid flies in the operating rooms." The document didn't describe the flies as a mere nuisance: "They’re predators. Parasites. Scavengers." The curator of entomology at the LA Museum of Natural History showed CBS2 that phorid flies can carry bacteria on their thistles and hair. "So you can see where there’s thistles and hairs on the body. That’s the places the dirt and bacteria can stick to." "They’re attracted to open wounds for the fluids that they need to sustain themselves and also to keep from drying out." "They can transmit the bacteria?" "Correct. They could also lay eggs on the open wounds." Eric Hannel, a former investigator for the House Veterans Affairs Committee, spoke with CBS2 from Tampa. 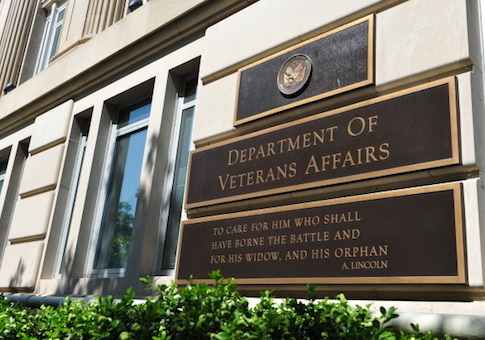 "The fact that VA has waited for more than two years to properly address this, I think underscores leadership failure at the highest levels," Hannel said. This entry was posted in Issues and tagged Veterans Affairs. Bookmark the permalink.